The World's # 1 Male Deodorant Axe, presents Axe Signature'- a range of premium body perfumes with 0% gas. 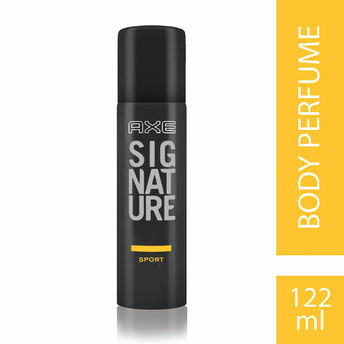 Designed by the world's leading perfumers, Axe Signature body perfumes are concentrated with 3X more perfume. These body perfumes are not only stronger, they also last longer, helping you make an unforgettable impression when it matters the most. 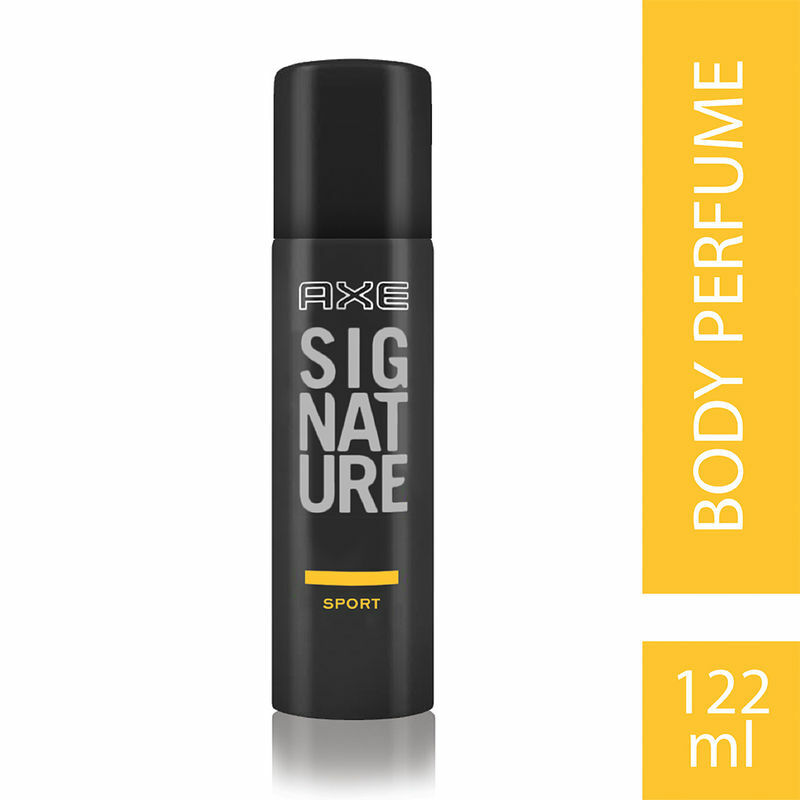 Feel fresh and energetic all day long with Axe Signature Sport body perfume. A dynamic fusion of fruity fragrance notes against a woody base gives a super strong and long-lasting effect. The blend of citrus and woody notes creates a fragrance that is a perfect fit for the go-getter, who is always on the run. The dynamic aroma of this sporty, modern perfume ensures you stay cool and energised for up to 24 hours giving you long-lasting, all-day freshness. Complete your morning preparation with the unforgettable fragrance of Axe Signature Sport Body Perfume. Simply spray it directly on your skin, underarms, chest and neck. Add that extra twist to your style. Like you've got something different from the rest, helping you make an impression that lingers on. Don't fade away like the rest. Catch attention and arouse curiosity in the moments that count. Leave your signature with the Axe Signature range of body perfumes. Explore the entire range of Perfumes (EDT & EDP) available on Nykaa. Shop more Axe products here.You can browse through the complete world of Axe Perfumes (EDT & EDP) .